The wind-pattern simulation is challenging to get right: I refactored my code to give me a more flexible way to build "attractors" – nodes which push wind this way or that – and to be able to easily adjust their parameters in real time. That makes it much easier to balance the effects of multiple attractors. After I've finished this piece I'll do some more work using this new particle system. I've also done a first pass on building the aurora. 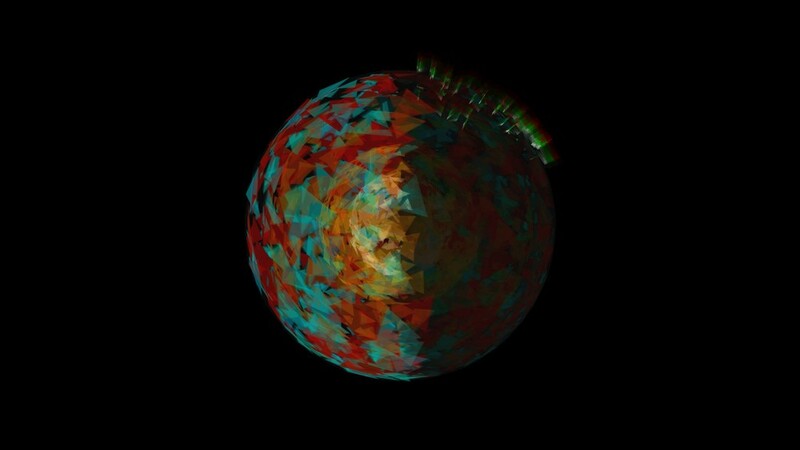 I need to give it more size variation: at present all aurora particles are the same size, and they all go from white to green to red – that's not how the actual aurora looks. More work on that tonight. I've build a daylight setting which lowers the brightness n the night side for the core/mantle/crust elements, and I've been exploring larger sizes for those elements. It gets quite exciting as the triangles get larger.